We at Bella Collina Bed and Breakfast are dedicated to safeguarding your personal identifiable information and protecting your privacy. Collecting your personal information for processing your reservations at Bella Collina Bed and Breakfast is to better streamline the experience. We only collect information that is considered necessary for achieving this. Personal identifiable information is only obtained when making an actual reservation. Certain pages of the web site sometimes uses data collection devices such as “cookies”. A “cookie” is a small file that gets placed on your hard drive that helps us provide our services. If your travel plans change and you must cancer your reservation, please notify us at least fourteen (14) days prior to your arrival date (multiple rooms, 3 or more nights, and whole house bookings require 30 days advance notice, see below). A cancellation fee of $50 per room will apply. If you must cancel with less than the notice required above, shorten your stay, or check out early, your full reservation payment will still be required. If we can re-book your room(s), a refund less your deposit will be made. Rescheduling a reservation to alternate dates does not qualify. 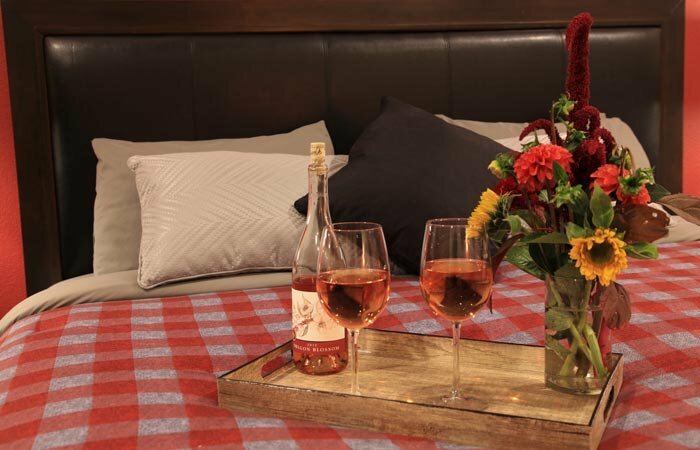 A 30 day cancellation notice is required on multiple room bookings, 3 nights or more in one room, whole house bookings, and for holiday weekends and special valley-related or inn events. Security is taken seriously at Bella Collina Bed and Breakfast. We take every precaution to safe guard your reservation and personal information online and offline. Bella Collina Bed and Breakfast may amend this Privacy Statement from time to time in order to meet changes in the regulatory environment, business needs, or to satisfy the needs of our guests, properties, strategic marketing partners, and service providers. Each of our luxurious guest rooms at Bella Collina are designed to maximize the pleasure of visiting the beautiful Willamette Valley. Our house was constructed with comfort and privacy in mind. We are fortunate to be centered in a virtual vortex of places to visit and things to do. 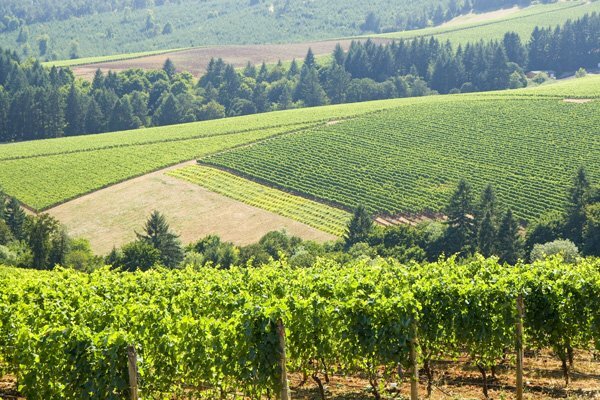 We have always enjoyed exceptional natural beauty surrounding us, and now we have an explosion of wineries, breweries, cideries, and outstanding restaurants to make Yamhill County not only beautiful, but a class act and a fantastic place to visit. 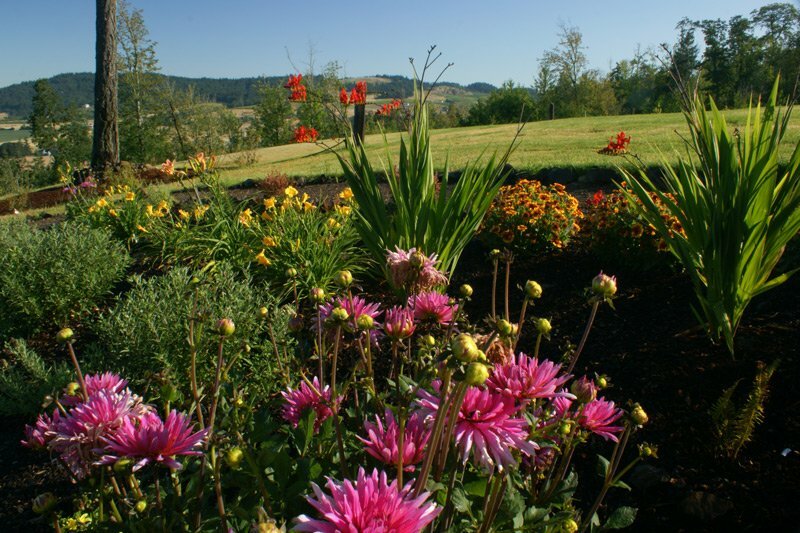 Our bed and breakfast is designed to capture both the scenic splendor of the place we call home, and the new-found sophistication of our slice of Oregon.